A Beagle Thousands Years Ago? What is the size of a Beagle litter? How to breed pocket beagles? 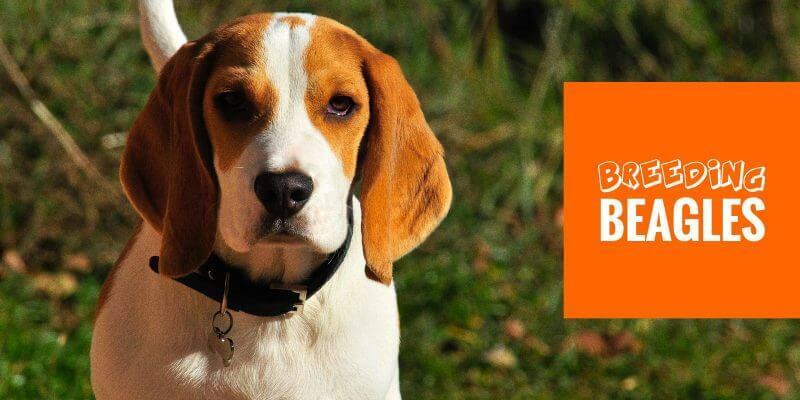 What about breeding beagles for animal testing? If you’re wondering how to breed Beagles, you are up for a little roadtrip! The very popular Beagle is a small scent hound breed, similarly looking to the much bigger Foxhound. The Beagle has been ranked consistently in the top 5 most owned dog breeds in North America. Such high demand has motivated a lot of dog breeders, some focusing on quality Beagle breeding while others are in it just for the money. 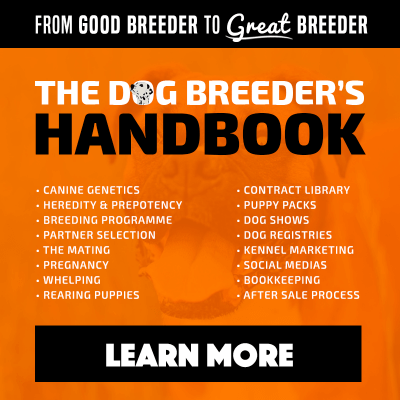 Breeding Beagles is a fulfilling adventure that requires an understanding of the huge history associated with the breed. Additionally, one should consider the current challenges of Beagle breeding: some health concerns on the rise, a demand asking for always-smaller Beagle puppies, etc. 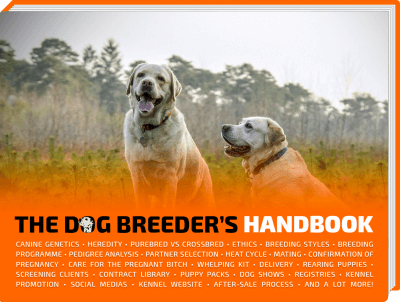 Our article is focusing on what every single Beagle breeder (or want-to-be breeder) should know by heart before getting involved with responsible Beagle breeding. When somebody is asking how to breed Beagles, the answer is longer than this article (see our get started page) but we’re covering here only Beagle-related matters. The concept of purebred dogs and specific breeds is very recent (a couple of centuries ago); in Antiquity and even during the Middle Ages, dogs were bred with purpose. The Beagle, if defined by its purposes (scent and hunting) and distinct appearance (size and shape), can be traced back thousands of years ago. Indeed, dogs resembling the modern Beagles, and reputed for their excellent scent and hunting abilities, can be found as far as the 5th century BC, in the Ancient Greek civilization. Ancient Greek philosopher and soldier, Xenophon, as well as Cnut the Great later on, separately mentioned a small hound chasing hares using a remarkable sense of scent in various treatises and laws published in their respective eras. Canute even wrote about this small hound’s ability to run down a stag. Famous King of England, William the Conqueror is with hindsight, a cornerstone in the apparition of the modern-day Beagle. In the 11th century, William the Conqueror imported the now-extinct Talbot Hound, a white, small, slow, scent hound, to Britain. Greyhounds were gently mixed with Talbot dogs to add speed, and over time, the now-extinct Southern Hound breed was born, and fell out in the 19th century to be replaced by much faster hounds, like Foxhounds, Bloodhounds, and Otterhounds. Modern hound breeds, including the Beagle, have some Southern Hound in their genetic makeup. 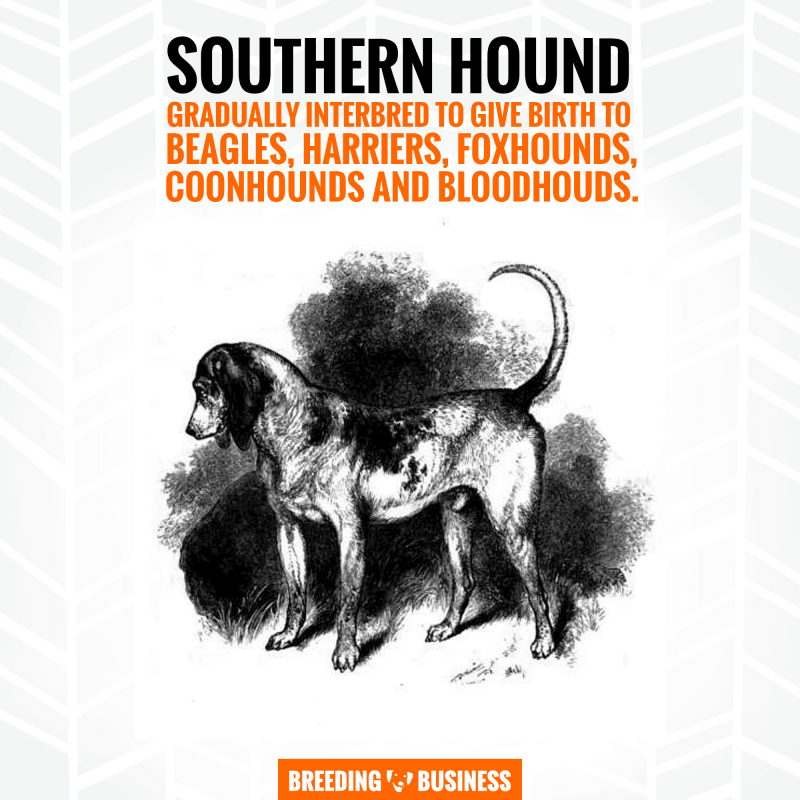 The Southern Hound is known as a main ancestor for our modern-day Beagle breed. However, back in the Middle Ages, the label beagle was used to designate any small-sized hound. During those times, beagles were almost exclusively smaller version of today’s Beagles, often referred to as Pocket Beagles or Glove Beagles due to the dogs’ tiny size. The largest in these days were specimens owned by Queen Elizabeth I, standing 8 to 9 inches or 20 to 23 cm at their shoulders, in comparison to 13-to-15 inches or 33-to-38 cm at the shoulders today. In the 1800’s, fox hunting became a lot more attractive and recreating than hunting small game animals, so Pocket Beagles and small beagle-typed dogs got gradually crossed with larger hounds, including Stag Hounds. Over several generations, the miniature Beagles turned into Foxhound-like Beagles, gaining in size, speed, and stamina along the way. Eventually, small-sized beagles neared extinction if not for a handful of farmers in the South of Britain who kept on breeding them for rabbit and hare hunting. Essex, England is the birthplace of the modern Beagle breed, and the date of birth is somewhere in the 1830’s. Indeed, it is there and then that Reverend Phillip Honeywood established his own pack of Beagle-like dogs. No records are to be found but it is believed that Southern Hounds and North Country Beagles were big parts of the pack. Illustration showing the Reverend Phillip Honeywood and his pack of Beagles. English veterinary surgeon, William Youatt, stated that Harrier dogs were a cornerstone of modern Beagles, but the origin of Harriers is very blurry itself. The Beagles of Reverend Phillip Honeywood were smaller than today’s Beagle dogs at 10 inches (25 cm) at the shoulders. 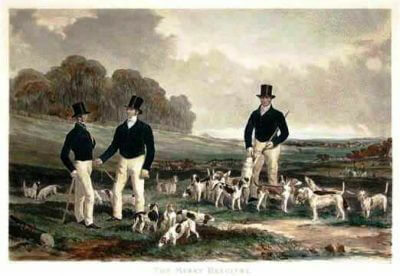 John Mills, writing in The Sportsman’s Library in 1845, described Honeywood’s Beagles as plain white, while also mentioning the two other royal Beagle packs from Prince Albert and Lord Winterton. However, Honeywood’s pack of Beagles was then regarded as the finest of all. the rough-coated or terrier beagle. Approaching 1900, there were only 18 packs of Beagles in England and the breed was slowly but surely disappearing. In 1890, The Beagle Club was formed and with it came the first Beagle standard. A year after, the Association of Masters of Harriers and Beagles was formed. These two associations had a clear vision and worked hard to standardize and promote the Beagle breed from then onwards. In 1902, a formal count tallied the number of Beagle packs at 44, showing an increase of over 100% in just ten years. The modern Beagle breed was on the rise in England, and it was just the beginning! The first specimens exported to the United States are dated around 1845 and were of poor conformation since the standard was only formally created a few decades later. They resembled straight-legged Dachshunds and had very little to do with current Beagle dogs. From the 20th century onwards, the Beagle was spreading worldwide and his hunting reputation started fading while his companionship was on the rise. The increase in Beagle conformation shows organized by the AKC in US, but also in Great Britain by the Association of Masters of Harriers and Beagles, boosted the breed’s public awareness. Just like English Bulldogs, the Beagle breed has its whole heap of famous owners, starting with the Queen Elizabeth I who was owning several of them. In the White House, the President Lyndon B. Johnson had two Beagles (named Him and Her, literally) during his presidential terms from 1963 to 1969. Other famous Beagle owners include Andy Cohen, Frankie Muniz, and Barry Manilow. Nowadays, Beagles are ensuring we remain safe on US territories thanks to the Beagle Brigade bred and trained by the US Department of Homeland Security. Beagles have a very acute scent so breeders tend to focus on specializing Beagle bloodlines in sniffing out narcotics and fresh products at airports. Beagles are on par with other similarly-sized dogs with a lifespan between 12 and 15 years on average. In comparison to most smaller breeds, Beagles are generally of good health and there are plenty DNA tests and health screening to clear your breeding Beagles from common medical issues. Many Beagles are still used on the field and are therefore prone to minor injuries and complications due to infections of these. 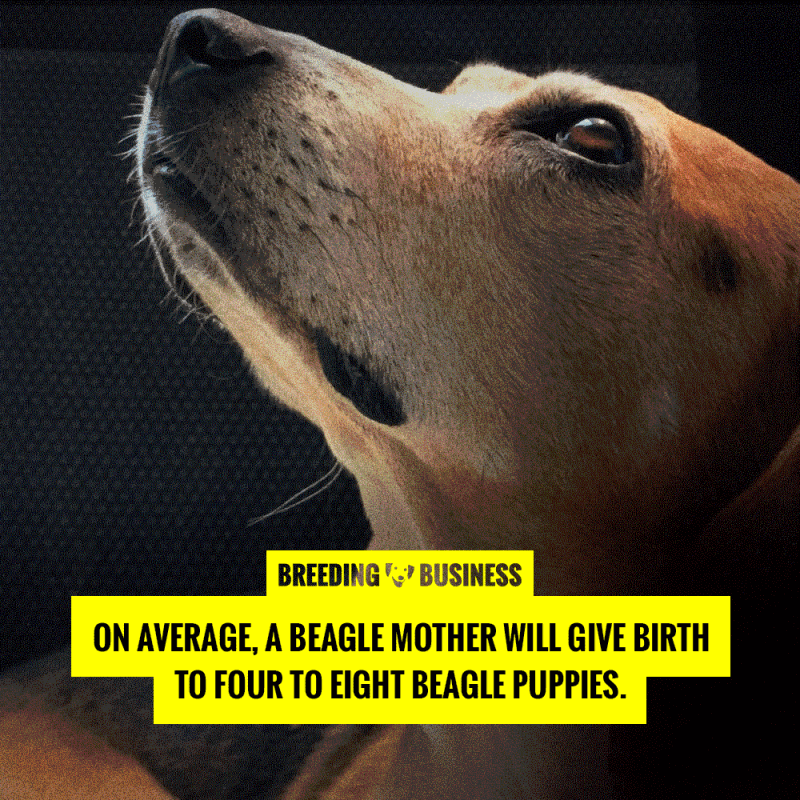 Breeding Beagles? Just be mindful of some common health issues. Worrying but actually benign and without any consequence on Beagles is the reverse sneezing. It is fairly common in Beagles with the dogs sounding like they are grasping for air or somewhat choking. In fact, during an episode of reverse sneezing, dogs are simply drawing oxygen from both their nose and mouth. There is so far no explanation for what is causing reverse sneezing, but it is not a dangerous medical conditions. If you are very worried, simply consult a vet, but try to spot what triggers reverse sneezing and work around these triggers to avoid them. Epilepsy in dogs is caused by abnormal electrical activities in the affected dog’s brain, causing seizures and characterized by muscle twitching, stumbles, and obvious incoordination. Epilepsy in Beagles generally appears for the first time from two years of age onwards; but it can start earlier or later in some cases. Although epilepsy seizures can be one-off medical conditions, they tend to be recurring once they appear for the first time. A consultation with your vet will generally result in drastic improvements controlled by way of medication. Hypothyroidism is a disorder of the endocrine system in which the dog’s thyroid gland is struggling to produce enough thyroid hormone to fuel the dog’s growth. An underactive thyroid in Beagles will have inevitable consequences on the dog’s well-being but there are some treatments available to improve such condition. The Beagle breed is a chondrodystrophic dog breed; meaning the breed’s specimens are prone to cartilage maldevelopment. In other words, a genetic mutation can cause Beagles to display abnormal short limbs, extremities, crooked backs, and other types of disk diseases and dwarfisms. Dwarfism is a group of various medical conditions pertaining to making a dog remain small, or grow to a much smaller size than what would be considered normal. 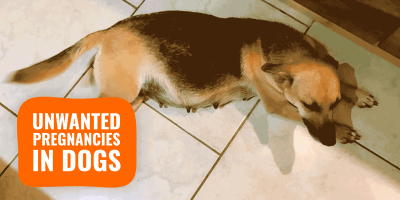 Such short stature is generally obvious from the first weeks of life with affected puppies developing very slowly, showing short limbs, and being weak in their stature. As a hereditary disease affecting Beagle puppies specifically, neonatal cerebellar cortical degeneration (NCCD) is slowing down the affected dog’s movement and limiting its coordination. Such puppies tend to fall off more often, and develop at a slower pace when compared to their healthy littermates. Puppies affected by NCCD will show clinical signs early, at around three weeks of age. Genetic testing is currently available. Beagles are known for their unique look, and we cannot ignore their beautifully big floppy ears. Because they are long and floppy, Beagle ears do not allow air streams to easily ventilate the dog’s ear canals. 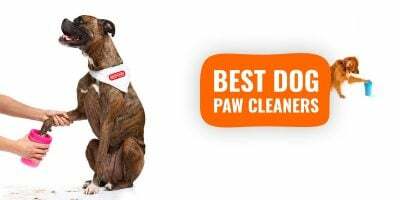 As a direct result, moisture will remain in the dog’s ears and will encourage the growth and spread of bacterias, viruses, parasites, and fungi. In order to avoid such ear infections, Beagle breeders must absolute use the best dog ear cleaner weekly. Such products are available in various forms so you can just pick the one you feel the most comfortable with: ear drops, ear wipes, ear brushes, etc. Beagles have an average litter size of six puppies. Beagles follow the same breeding rules and biology as all other dog breeds and mutts; and you can read all about it in our breeding section. 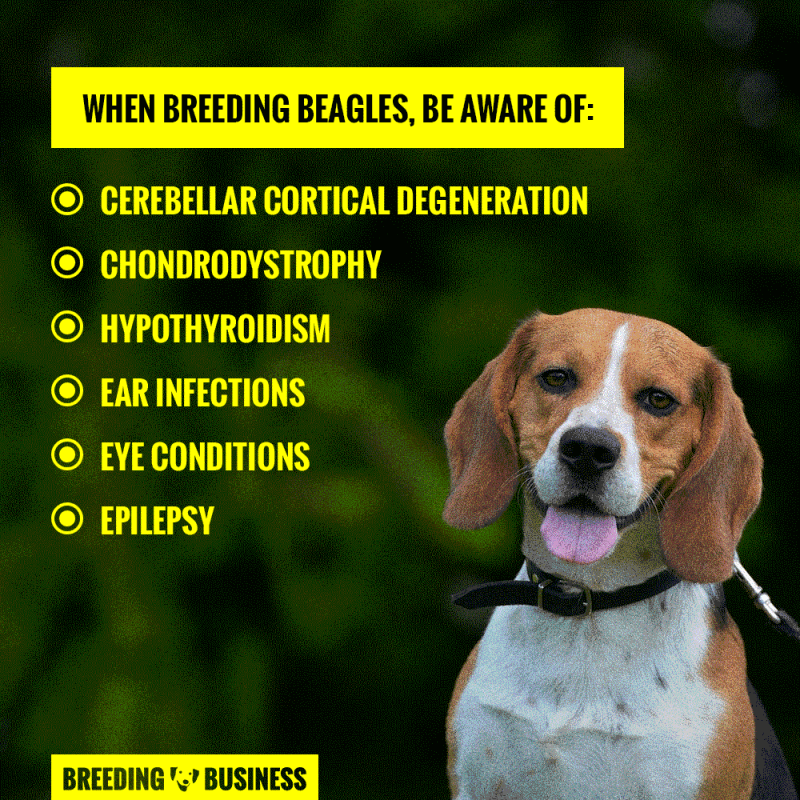 However, there are some best breeding practices to know when breeding beagles in particular. On average, a Beagle mother will give birth to four to eight Beagle puppies weighing just a few ounces each. There is generally no need for a cesarean section for Beagles of regular size. Pocket Beagles are an extinct version of the Beagle dating back to centuries ago and the 16th century. There is no way anybody could breed Pocket Beagles in today’s world, so most so-called Pocket Beagle breeders are simply breeding smaller Beagles. These miniature Beagles are appealing, the same way all miniature dogs are, but the hype is dying down thanks to a rise in health concerns acknowledge by the general public. With a decrease in demand, the breeders are focusing themselves on breeding Beagles conform to the breed’s official standard — standing at 13 to 15 inches or 33 to 38 cm at the shoulders today. Beagles are very much known for their passive temperament. Animal testing laboratories and breeders have use Beagles for of 95% of all tests performed on dogs in the United Kingdom. While animal testing is very much shrinking, especially on dogs, nearly all of the test done on dogs are done on Beagles. We find this disgusting and for any irresponsible breeder trying to breed Beagles in large scale to supply labs, it’s currently not possible as it requires a nearly impossible-to-get license. Breeding Beagles for animal testing is a dying profession, and we hope it dies as soon as possible for these poor dogs’ sake. To finish, we’ve asked Laura Short of Short Acres Beagles in our interview with her what is her opinion on the future of Beagles for dog breeders. I think that in the next ten to twenty years, we are going to see a rise in the overall awareness of genetic health problems in the Beagle breed. I hope to see many more breeders take advantage of the advances in science which allow breeders to select breeding partners based on compatibility in health and genetic diversity. There are many health tests available as tools to breeders, and it is my greatest hope that in ten or twenty years, we may have more genetic testing available for conditions such as epilepsy. 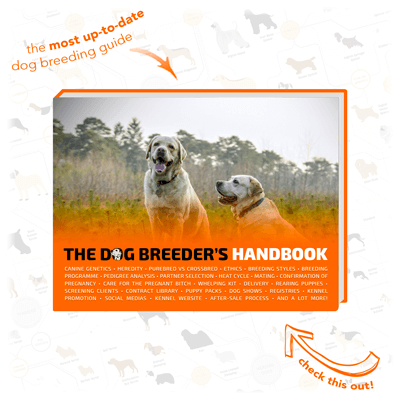 With the rate that we are losing our gene pools and dog breeding losing popularity, I fear that we may see a decline in available breeding stock to continue breeding healthy dogs. We need to work together as breeders to insure that our breed will be here in the future for the breeders that will come after us. 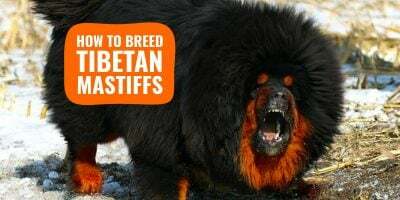 We should leave the breed in better condition that when we started breeding, that is what bettering the breed is all about! The Beagle carries an immense history both on his land, England, and here in the United States where its popularity boomed across all borders. Beagle Breeders must be careful when breeding to size their dogs down: the trend is dying and these dogs would be disqualified against the official standard. Healthwise, the breed has a bright future as long as breeders keep on screening all their breeding Beagles, both studs and dams.